You can book a room or get more information by giving us a ring on +353 42 9337535. Verification Code:* Please verify that you aren't a computer by inputting the 5-digit case insensitive code you see below into the box beside it. We are sorry for the inconvenience. We aim to reply with prices and availability within one working day of receipt. Confirmation with credit card or deposit is sufficient to secure reservation. Our cancellation policy is 7 days prior to arrival after which date the accommodation will be charged to the credit card. 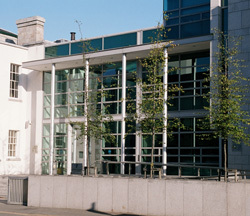 An example of some of the fine new architecture that Dundalk has to offer. 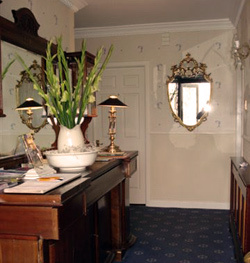 Krakow B&B has been furnished in the old style that is comfortable and pleasing to all.